You've Got One Month… Book the Kid-Free V-Day Vacay Now! 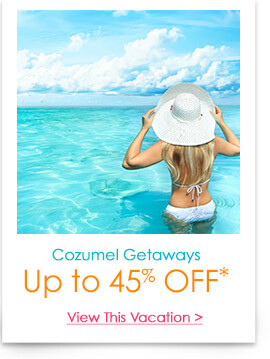 Adult-Only Vacations up to 50% off! Having Trouble Viewing? View Online..
Grand Bahama vacation packages treat you to family friendly adventures with plenty of ways of relaxing in the sun. You’ll find a variety of resorts to choose from, water sports galore, shopping, restaurants and more on this popular island. Ready to drop out of reality and drop into vacation? El Conquistador Resort, in Puerto Rico, boasts matchless views, 20 restaurants and bars, a private marina and grounds so big, they're separated into five villages. At CheapCaribbean.com we are THE Beach Vacation Experts, we are dedicated to providing you with insider's information, reviews, photography and tips to help you find the best hotels and destinations on the shore. And while our customers dig our online deals, we offer so much more, from top-notch customer service to exclusive travel advice that you just won't get anywhere else. All prices were current at the time this email was published. 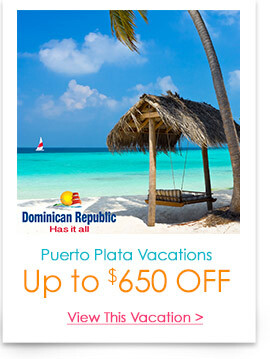 Hotel, vacation package, and cruise prices on the CheapCaribbean Website are constantly updated. Please refer to our site for the most current pricing. Vacation package prices shown are for one adult, economy class, based on double occupancy, and vary by dates, availability, and departure city. All taxes/fees are included, except certain government taxes and fees imposed in destination and airline baggage fees, if applicable. Offers are subject to availability and may change without notice. All public charter flights sold through (Cheap Caribbean) on Frontier Airlines public charter number PC#13-085 are operated by AVB, LLC. All public charter flights sold through (Cheap Caribbean) on Frontier Airlines public charter number PC#13-084, Aeromexico public charter number PC#13-108 and AirTran public charter number PC#13-056 are operated by Atkinson & Mullen Travel II, LLC. All public charter flights sold through (Cheap Caribbean) on Frontier Airlines public charter number PC#12-095/PC#13-059, Aeromexico public charter number PC#13-088, Alaska Airlines public charter flights PC#12-131/PC#13-081 and AirTran public charter number PC#13-063 are operated by AVW II, LLC. * Kids 12 and under stay and eat at no charge at selected resorts. For Package Offers prices are per person, based upon double occupancy. Airfares vary by date and departure city. If an offer is "All Inclusive" prices are per person, based upon double occupancy. Airfares vary by date and departure city. 2003 S. Easton Rd., Doylestown, PA 18901 - This message is an advertisement.